Tool box set includes the essential items needed to fix minor repairs around your home or office. 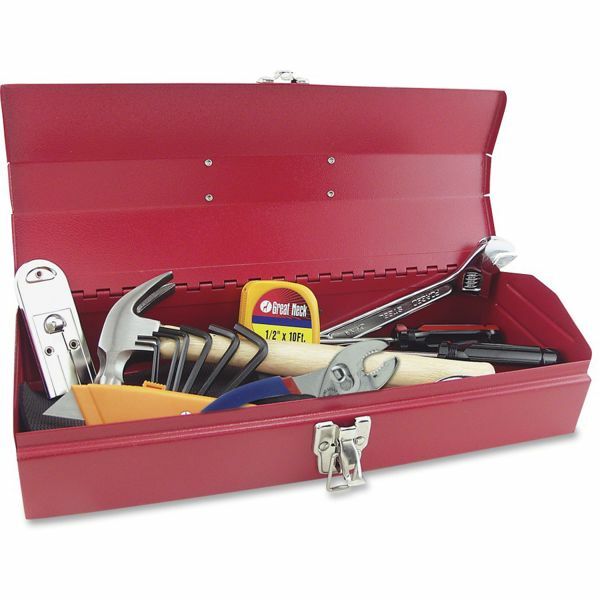 Metal tool box stands up to abuse and features a latch to secure the items inside. Set includes safety razor scraper, position utility knife, No. 2 Phillips screwdriver, 4" x 1/4" screwdriver, wood handle hammer, adjustable wrench, slip joint pliers, tape rule and hex key wrench set.